South Crofty tin mine closes | Cornwall For Ever! In 1998, Cornwall’s last working tin mine, South Crofty, closed. This was a very sad day for the people of Cornwall. It brought to an end nearly 4,000 years of tin working. However, there is still hope that mining at South Crofty may begin again one day. 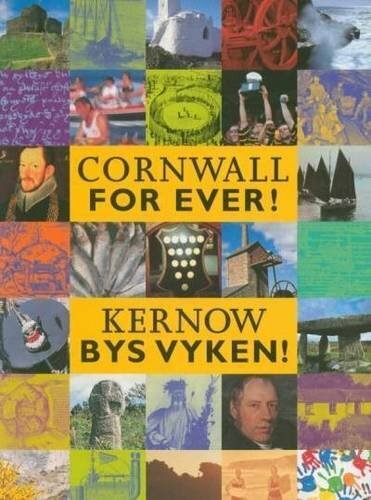 Yn 1998, diwettha bal sten byw Kernow, Krofti Dyghow, a dhegeas. Dydh pur drist o hemma rag tus Kernow. An degeans a worfennas ogas ha 4,000 bledhen a hwelyow sten. Byttegyns yma govenek hwath y hwra balweyth yn Krofti Dyghow dalleth arta martesen unn jydh. Cornish lads are fishermen, and Cornish lads are miners too. But when the fish and tin are gone what are the Cornish boys to do? South Crofty is a mine at Pool, Cornwall. Mining was first recorded there in the 1600s, but was probably taking place before then. In the early 1700s, copper was mined at South Crofty and it made the Basset family, who owned the mine, very rich. For most of the 1800s, copper was the main metal mined at South Crofty. However, by the early 1900s, tin was being mined. South Crofty grew in size by buying neighbouring mines that had closed. At its deepest point, the mine stretched down over 900 metres. In the 1960s, money was spent modernising South Crofty and many local people were recruited to work there. In 1985, some Cornish tin mines had to close because the price paid for the tin they produced had fallen. South Crofty managed to stay open, with local people investing their own money in the mine. The price of tin continued to fall in the 1990s and eventually South Crofty could not afford to remain open. On 6th March 1998, after 400 years of operation, Europe’s last tin mine closed. South Crofty had provided jobs for many people in the Pool, Camborne and Redruth area. The loss of these jobs, and the loss of this iconic Cornish industry, was very upsetting. People had been taking tin out of the ground in the place we now call Cornwall for almost 4,000 years. It was one of Britain’s oldest industries. Tin from Cornwall was traded with countries in the Mediterranean over 2,000 years ago.